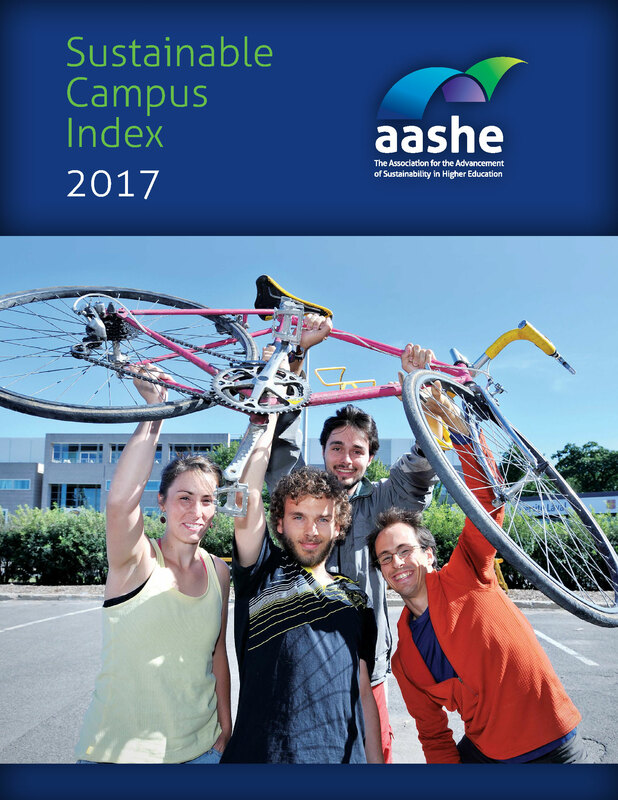 The 2017 Sustainable Campus Index (https://goo.gl/uccCP1), a publication by the Association for the Advancement of Sustainability in Higher Education (AASHE), recognizes top-performing colleges and universities overall and in 17 sustainability impact areas, as measured by the Sustainability Tracking, Assessment & Rating System (STARS). The report also highlights innovative and high-impact initiatives from institutions that submitted STARS reports in the 12 months prior to July 1, 2017. “The institutions and initiatives featured in this year’s Sustainable Campus Index showcase the hard work that colleges and universities have done to advance sustainability on their respective campuses and throughout the world," said AASHE's Executive Director, Meghan Fay Zahniser. "I hope you find inspiration within this report that may further drive collaborative efforts focused on innovative solutions to ongoing sustainable challenges." AASHE empowers higher education administrators, faculty, staff and students to be effective change agents and drivers of sustainability innovation. AASHE enables members to translate information into action by offering essential resources and professional development to a diverse, engaged community of sustainability leaders. We work with and for higher education to ensure that our world's future leaders are motivated and equipped to solve sustainability challenges. For more information, visit http://www.aashe.org. Follow AASHE on Facebook and Twitter.